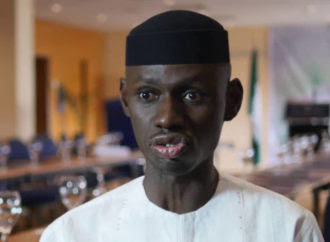 The All Progressives Congress APC has suspended its Deputy National Publicity Secretary, Comrade Timi Frank. His suspension followed Thursday’s recommendation of a disciplinary committee set up to investigate a petition accusing Frank of making disparaging comments in the media about the the party’s leadership. South South zonal vice chairman of the party, Hilliard Etta announced the decision of the party Friday in Abuja at the end of an emergency zonal meeting called to deliberate on the committee’s report. APC National Chairman, Chief John Odigie-Oyegun and Acting National Publicity Secretary Comrade Timi Frank ” received the report of the disciplinary committee setup to look into the allegations of embarrassing utterances and anti-party activates by Mr Timi Frank, the Deputy National Publicity Secretary of this party. Incidentally, he is from Bayelsa in the South South zone. “In furtherance of satisfying the provision of the constitution of the APC, I had to call for this emergency meeting of the zone and after very exhaustive deliberations, the zone has arrived at the confirmation of the disciplinary committee’s report that one, Mr Timi Frank be suspended from the party forthwith in line with article 1 (d) and (f), having been accepted by this house, Mr Timi Frank hereby stands suspended by this party. “Number two, this zonal committee shall recommend to the National Executive Committee for the expulsion of Timi Frank from this party in line with Article 21 D H (2 and 3) of our constitution. This is the resolution of the South South Zonal Executive Committee”, he said. When asked whether the zonal executive committee was not hasty to suspend Frank considering the fact that the APC Governors forum has been making moves to reconcile the warring parties, Etta said “the tenets of our party’s constitution stipulates that petitions should be swiftly treated. Concerning what the Chairman of the governor’s forum is doing, it is not in conflict with the party maintaining discipline within its rank and file, it is not running at opposite direction. We are attempting to grow our party, it does not therefore mean that we’ll not be alive to our responsibilities with regard to maintaining a disciplined membership of the party”.